Antoinette (Toni) Van Koevering wrote the historical column, Thumbnails, which appeared in the Zeeland Record from 1977 to 1992. The column was located below the fold on page 1. 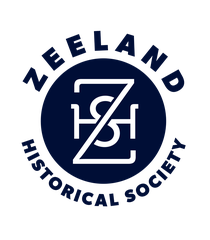 (aka bar code), you may search the The Zeeland Record (1893-2006) by entering the date in the advanced search field. Note: If an article is missing some information, we have not located it yet or there is a question about the date, book or page number. The "Thumbnails" articles listed below are located in the Zeeland Museum's research room. 1 1 William Ryerson Vis, M.D.